This colonial style home is located at 50 Chichester Road in New Canaan, Connecticut and is situated on an acre of land. 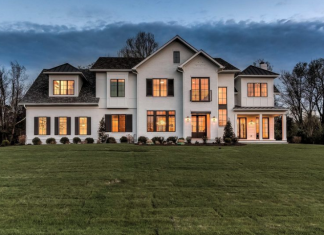 This newly built colonial style home is located at 38 Birch Lane in Greenwich, Connecticut and is situated on an acre of land. This newly built colonial style brick home is located at 69 Meadow Woods Road in Great Neck, New York and is situated on 1/3 of an acre of land. This newly built colonial style brick & siding home is located at 12206 Worthington Road in Owings Mills, Maryland and is situated on 1.1 acres of land. This newly built colonial style brick home is located at 4837 Tilden Street NW in Washington, DC.